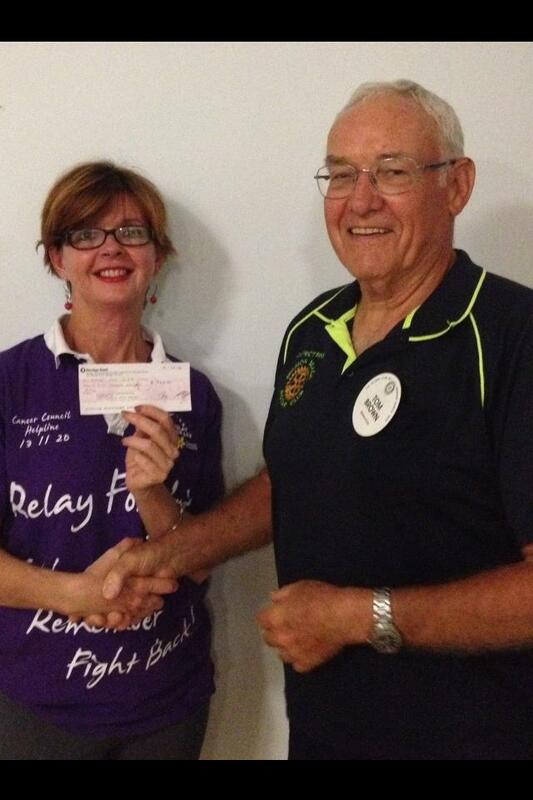 Club President Tom Brown recently presented Trudy Mitkus with a donation to this year's Relay for Life event. Trudy has been extensively fundraising throughout the year for this worthy cause, her efforts are commendable and show her true community spirit - well done from all the volunteers in Rotary Mission Beach. If you are fundraising for a worthy cause and would like to assist in selling raffle tickets at the Monster Market, then Rotary would love to hear from you. Contact Tom Brown on 0437 314 080.